Ustazi | Why Learn a New Language. Most of us in Jordan are bilingual; we are able to speak two languages that are widely used in big parts of the world, so why bother to learn another language? Granted, it is not easy to learn a new language after you have reached a certain age but once you start you will find that it will open a lot of doors for you, doors you never knew existed. If you are thinking of studying abroad, you will find that most countries teach their undergraduate programs in their country's first language, so it becomes important to learn that country's language to get the quality education you are looking for. Even if the program is taught in English, it becomes difficult to communicate with the people around you if you do not speak their language especially if you are planning to live there for the next four years or more. Acquiring another language will also help build your CV, not only in foreign countries, but in your country as well. It will give you a great advantage when looking for a job; employers are always looking for a special set of qualifications when hiring and this adds greatly to your advantage. It also helps if you are looking for an extra source of income to work as a freelance writer or translator in that language making you an exception in a sea of bilinguals. Traveling is always fun, and you can make it even more fun by learning the language of the country you are visiting, you will be able to communicate with the locals and learn about the hidden treasures of the country in addition to the famous touristy places that everyone knows about. This will also allow you to be treated as an equal to the locals and help you with your bargaining deals making your vacation more fun and wallet-friendly. 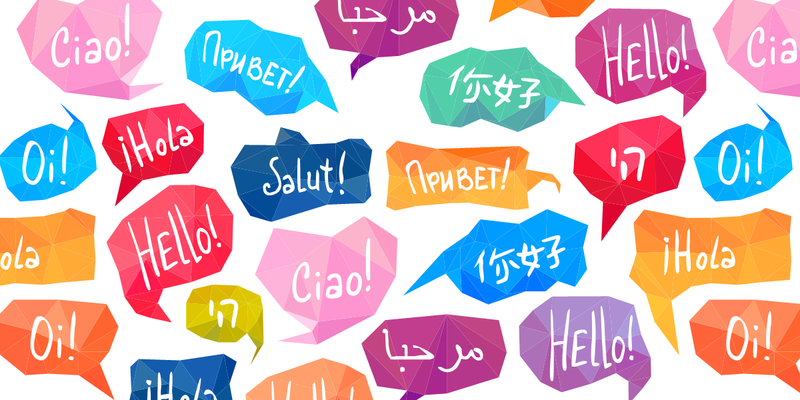 Learning a new language will help you become a better communicator, you will have friends from different parts of the world and be able to see the world from their perspective. Language helps shape our thinking and learning a new language will help shape a new way of thinking that might have otherwise never crossed your mind. Studies have shown that learning a new language helps improve your knowledge of your mother tongue as you become more aware of the functions of words and sentences. It also helps improve your memory and delays dementia and Alzheimer's disease by a great deal. If you do not want to learn a new language to travel, then learn for the sake of your health. If you are convinced and wish to add learning a new language to your list of new year's resolutions, it's not too late. You can always find language course popping up around you and applications to help you on your journey. What are you waiting for? !